Just because you're camping, it does't mean you need to rough it. 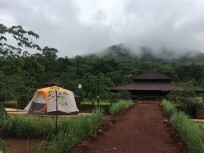 This glamerous camping, or glamping, trip near Lonavala lets you stay in spacious tents with double beds inside. Each tent has its own private washroom. You'll love the well-planned, scenic campsite location, right on the banks of a lake. Get away from the city for a quick escape, listen to the sounds of the water lapping at the shore and enjoy a bonfire in the evening. 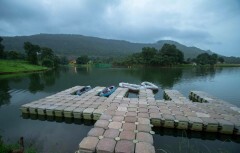 Located a short drive from Khopoli, Kalote Lake is surrounded by charming villages and green hills. 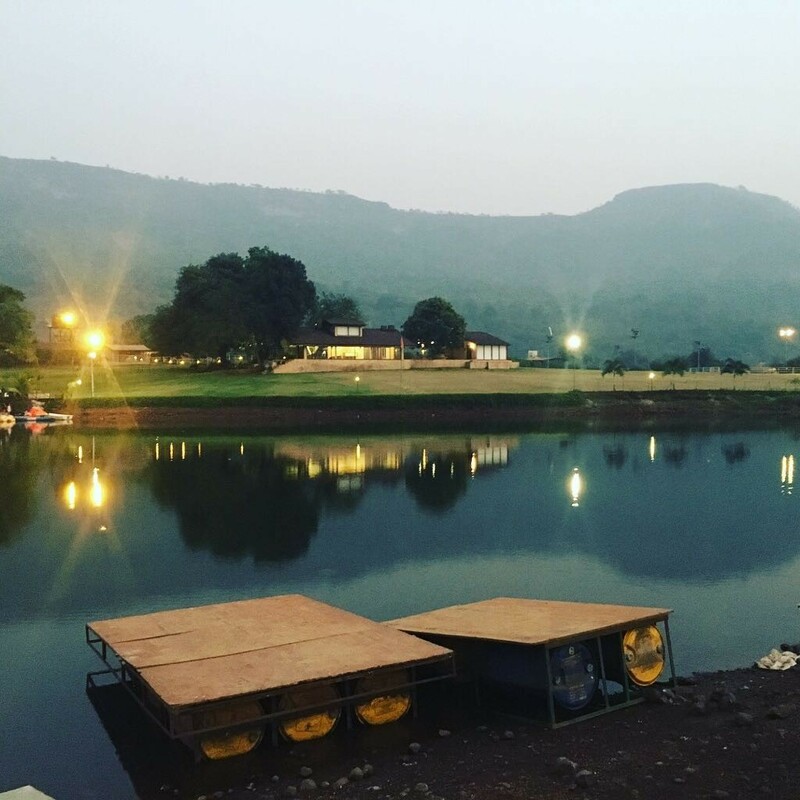 The picturesque campsite is on the bank of this lake, just 2 kms off the Mumbai-Pune highway, with great views of the rugged Sahyadris. The campsite is landscaped in steps, to ensure everyone gets views of the lake. Your tent is a large one with a high ceiling. Each tent is set on a raised wooden platform to keep you dry and comfortable. Inside the tent, you'll have a bed, blankets, pillows, and a solar light. Behind your tent, there is a private washroom. • Spend a night in the outdoors beside a lake. 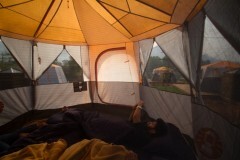 • Camp in a comfortable tent with a double bed. • Swim in the lake or dabble your feet in the cool water all day. 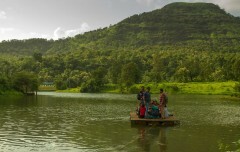 This lakeside camping trip in Maharashtra is a non-strenuous activity, and is suitable for everyone. However if you have a heart condition, allergies, or respiratory condition, please check with your doctor before booking this lakeside camping trip. 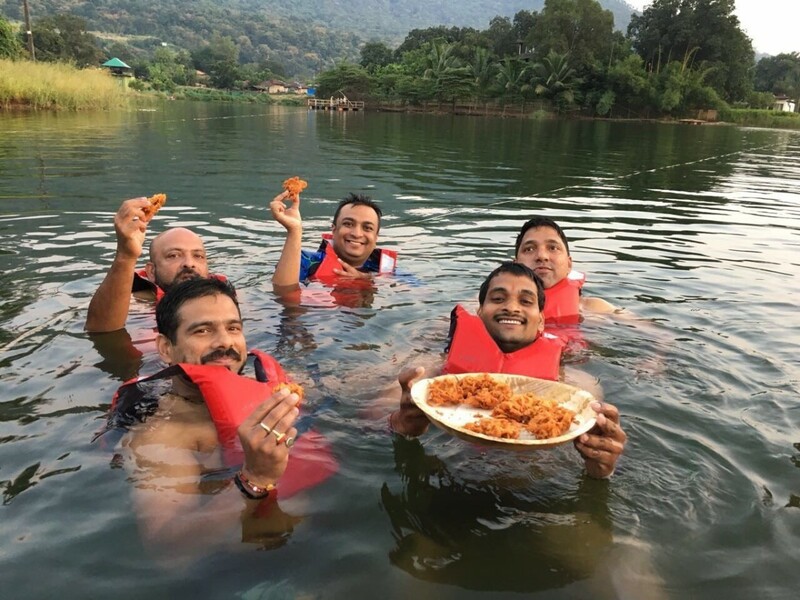 Swimming in the Kalote Lake is prohibited without proper life jackets, available at the campsite. Travellers accompanied by drivers or other staff members will need to pay additional to cover the stay and food of the staff members. For cancellations made 5 days or more before the check-in date of the Kalote Lake glamping trip: 30% refund. For cancellations made less than 5 days before check-in date of the Kalote Lake glamping trip: no refund. Bookings for children younger than 5 years are not charged. 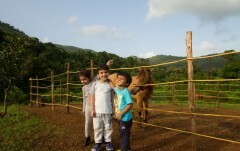 Bookings for children between the age of 6-10 years are charged at a discounted price of 50%. Bookings for children older than 10 years are charged at full price. The tour operator reserves the right to alter or cancel the itinerary of this Kalote Lake glamping trip due to any unforeseen circumstances to ensure maximum safety of travellers and staff. Costs arising due to such a change in itinerary are borne by the traveller. The tour operator takes utmost care to ensure maximum safety for travellers and will not be responsible for any accident or mishap during the Kalote Lake glamping trip. There is no pick-up for this lakeside camping trip. There is no drop-off for this lakeside camping trip. 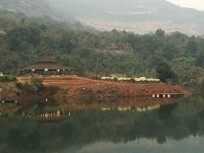 Day 1 of glamping at Kalote Lake: Check-in and enjoy! You can check-in any time after 11:00 hrs. Once you've settled into your tents, take a stroll to explore the lakeside and spend your afternoon at leisure. 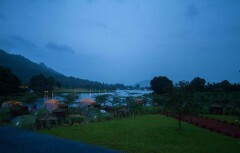 In the evening, you'll watch a beautiful sunset over the Kalote Lake. Overnight in tents at the campsite. Wake up early to catch the scenic morning views of the lake. Check-out time at the campsite by 10:00 hrs. Your trip ends here. Personal expenses like apparel, gear, additional meals and beverages etc. Check-in time at the campsite is 11:00 hrs. You'll be staying in spacious tents that are mounted on wooden platforms. 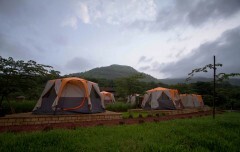 Each tent is equipped with a double bed, blankets, pillows, and solar lights. No meals are included in today's package, but you can order a-la carte from the on-camp restaurant. You should wake up early to watch the misty morning dawn over the lake from your own tent. You'll head to the dining area for a delicious breakfast of bread butter, jam, pohe, omelette, and end with a fruit and a hot cup of tea. Check out by 10:00 hrs. Trip ends here. Take the exit on the Panvel bypass road. Here, you'll turn left onto NH48 and after crossing the toll plaza, futher down the road on the left is Kalote. Your campsite is 1.2 kms from here.